Pharmaceuticals and personal care products (PPCPs) and endocrine disrupting compounds (EDCs) have been detected in wastewater effluents and surface water bodies at concentrations ranging from parts per trillion levels (ng L−1) to parts per billion (µg L−1) levels. Currently, engineered wastewater treatment plants are unable to remove PPCPs and EDCs completely, resulting in the treatment plants becoming a source of secondary pollution. Research on carbon nanotubes (CNTs) has shown that the tubular cylinders of carbon atoms due to their large specific surface area and developed pore structure are capable of adsorbing and remediating PPCPs and EDCs. They also possess excellent photocatalytic activity and high mechanical strength. When combined with membrane filtration, CNTs demonstrate excellent removal of PPCPs and EDCs with removal up to ~ 95% in optimum experimental conditions. Nanocomposite membranes containing CNTs have shown promising results in the removal of triclosan, acetaminophen, and ibuprofen. In addition to its proven potential in adsorption and membrane filtration, CNTs can also be used in photocatalytic degradation of a variety of organic compounds including PPCPs and EDCs. When CNT is used as a photocatalyst, it generates reactive oxygen species that can oxidize contaminants to CO2, and H2O. This study provides a comprehensive literature review of the application of CNTs for removal of the emerging contaminant of concern from water and wastewater. Their application, particularly in the areas of adsorption, filtration and photocatalytic degradation of PPCPs and EDCs, is discussed in detail. Also, the feasibility of a full-scale implementation of CNTs in existing water and wastewater treatment plants is discussed. The authors gratefully acknowledge Ms. Kelly Donovan, graphic artist at California State University, Fullerton, for assisting with the graphic illustration shown in Figs. 3, 5 and 7. 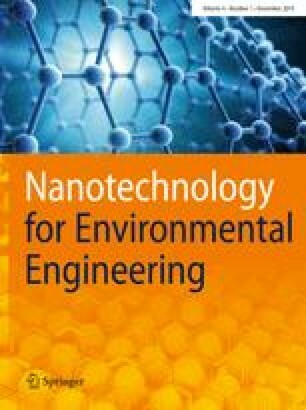 This research was supported by the Engineering and Computer Science Incentive Grant awarded to the lead author Dr. Sudarshan Kurwadkar during the Spring 2018 semester. The views expressed in this article are those of the authors and do not reflect the official policy or position of the Air Force Institute of Technology, the United States Air Force, the Department of Defense, or the United States government. We have declared that they have no conflict of interest.